At Just Brew It! Custom Beers & Fine Wines, we know that when it comes to the brewing business – With over 25 years of brewing experience, trust us when we say, we know beers and wine! At Just Brew It! Custom Beers & Fine Wines we know experience counts in the brewing business. With over 25 years of brewing experience – we know beers and wine! 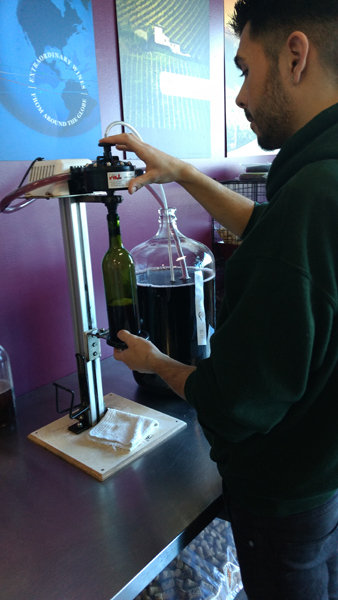 The Perfect Beer & Winemaking Experience! We offer that experience to you, along with superior customer service, so that each visit to our store is as good as the last visit. We brew all types of beer, as well as over 100 varieties of wines! The expert staff at Just Brew It! will assist you in choosing and developing the type of wine and beer that suits your personal taste. From opulent tasting beers, to achieving the bouquet of wine aged just the way you like it, Just Brew It! will match the perfect beer or wine with your unique palate. We invite you to come in, meet the staff, and let us make your brewing experience unforgettable.